An Emory University graduate with a bachelor's degree in political science, Jason began his legal career working as a clerk for several prominent insurance defense law firms while attending Nova Southeastern Law School. In 2002, he earned his J.D. and began working for Baker & Zimmerman, a plaintiff’s personal injury, product liability and medical malpractice law firm in Boca Raton, Florida. He later joined the Law Firm of Young and Adams, P.A., also in Boca Raton, where he headed the Personal Injury Protection Litigation Department. In 2005, Jason opened his own practice, the Law Offices of Jason P. Dollard, P.A., with a focus on commercial litigation, building off of his strong personal injury legal background. Using his extensive contacts and broad range of experience, Jason has enjoyed great success in recovering settlements for commercial litigation clients as well as injury victims throughout South Florida. Jason is an active member of the Delray Beach community and currently serves on the Delray Beach Chamber of Commerce Board of Directors and the Delray Beach Code Enforcement Board. His community involvement also includes serving as president of the Delray Beach Kiwanis, a member of the Police Advisory Board and an active member of the Chamber of Commerce. 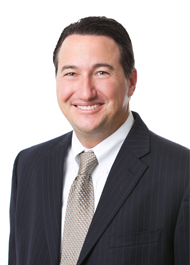 Most recently, he was awarded the 2012 Florida Super Lawyers Top Young Lawyer in Florida and the 2011-2012 Ken Ellingsworth Community Service Award. In 2007 and 2008, Jason was awarded Best of Delray Attorney, and was nominated for Delray Beach’s Small Business of the Year award in 2009.